Trump’s attack on national monuments is also an attack on minorities. This isn’t just about the great outdoors. The two bluffs known as the Bears Ears stand off in the distance at sunset in the Bears Ears National Monument on May 11 outside Blanding, Utah. In Utah on Monday afternoon, President Donald Trump and Interior Secretary Ryan Zinke announced their decision to dramatically reduce the size of two of the state’s national monuments—Bears Ears National Monument will be cut by 80 percent, and Grand Staircase-Escalante National Monument by 45 percent. The move, which is legally fraught and an unusual use of presidential power, will likely allow for mining and drilling to return to the land. The move is not just an attack on beautiful landscapes, treasured public lands that are widely revered by Americans at large, though it is that. The administration’s assault on these national monuments is in line with many of its other moves, which is to say that it is also an attack on minorities. In this case, it’s an affront to the Native American tribes that actively petitioned against these particular delistings. While Trump’s move is unusual, it’s not completely unprecedented. Woodrow Wilson redrew the boundaries on Mount Olympus National Monument, and Franklin D. Roosevelt, in an effort to appease ranchers, cut away at the Grand Canyon when it was a monument. (Both have since been made, by acts of Congress, national parks, protected for their scenic, inspirational, educational, or recreational value, rather than their historical, cultural, or scientific interest.) But despite these actions, the legal rights of presidents to redraw such boundaries has never been clarified explicitly, which is why the court challenge could have legs. What is more clear are Trump’s motivations. By redrawing the boundaries on two Utah national monuments, he creates new opportunities for private industry to profit off the land. 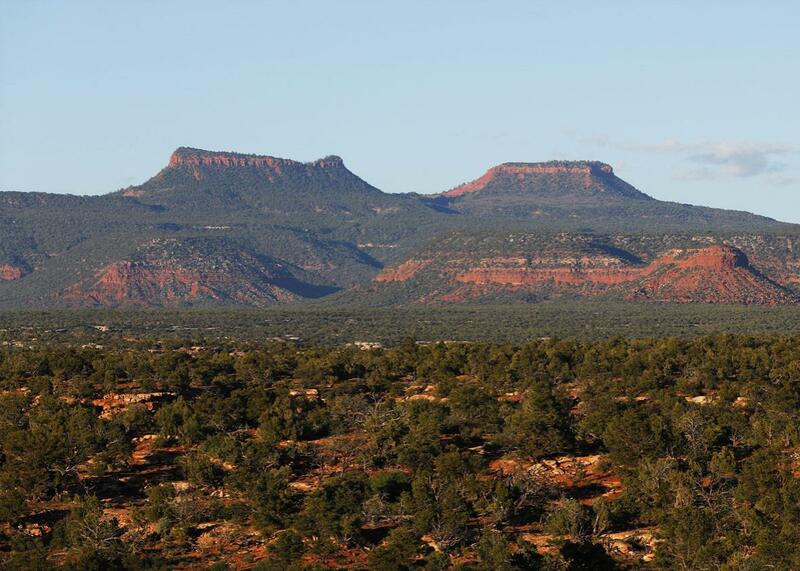 While grazing cattle was already allowed at Bears Ears under the Obama-era rules, reducing the amount of protected land could allow for the infiltration of mining, drilling, and other resource extraction companies. The decision also allows Trump to solidify his friendship with Utah’s leadership, including Republican Sen. Orrin Hatch, many of whom believe Obama’s decision to place Utah’s land under federal control was unfair and maybe unlawful. While the Antiquities Act of 1906 gave presidents fairly limitless power when it came to designating of national monuments, it called for monuments to be restricted to the “smallest area compatible” with the preservation of key features. By slicing and dicing the land, Trump and Zinke seem to believe they’re rightfully reversing Obama’s “federal overreach” and bringing the monuments into agreement with the law as they interpret it. Zinke said Monday that the move was “giving rural America a voice.” But the proposed cuts clearly violate the wishes of the five Native American tribes that are partners in protecting the land. This is the second statement the Navajo Nation has had to release about President Trump in the past week: The first came after an earlier event ostensibly to honor the Navajo code talkers who served the United States during World War II, during which Trump used the slur Pocahontas in reference to Sen. Elizabeth Warren, all while standing under a prominent portrait of his favorite president, Andrew Jackson, whose Indian Removal Act started the Trail of Tears. The plan also seems to fly in the face of the majority of the 1 million public comments Americans left on Zinke’s monument proposal earlier this year, most of which were in support of continued land conservation. Like so many of Trump’s favorite initiatives, the modifications of these two national monuments is certain to make some already rich men even richer—and the rest of our nation a lot poorer.